Soundcloud is on the verge of bankruptcy. Make sure you are prepared for the worst. Soundcloud is in serious financial trouble. The Berlin-based platform has already laid off around 40% of their staff. The future isn’t looking so bright for the orange cloud. We hope this isn’t the end of Soundcloud and they can find a buyer or lifeline in time but just in case Soundcloud go bankrupt, we suggest you take these steps now. Make use of other music services. Find a music distributor to help get your original productions on to more legal music services (Spotify, iTunes, Apple Music, Deezer etc). Get your mixes uploaded to Mixcloud or YouTube (beware of copyright strikes) and make use of your social media and artist website. Make sure your music is widely available and discoverable. Back up all of your music, then back up again. If you have tracks hosted on your Soundcloud page that you no longer have on your hard drive, download them from Soundcloud now and store them on a good external hard drive, locally on your computer and in the cloud if possible. You should never keep your music files in just one place, but just in case you are, be sure to back-up everything now. Spotify playlists are the new Soundcloud reposts. Start to network with curators, start to build your own playlists too. If you are an artist or label in 2017 you need to be working on your playlist strategy. Build your email list and social media profiles. If your fans can’t discover your new music on Soundcloud anymore, you are going to need to make sure they can still find you! Social networks come and go but email never dies, focus on building a newsletter for your fans, offer exclusive content for fans joining your email list. Also, spend time on your social media strategy, how can you gain more Facebook fans or Instagram followers|? What creative ways can you use to promote your music on social media? 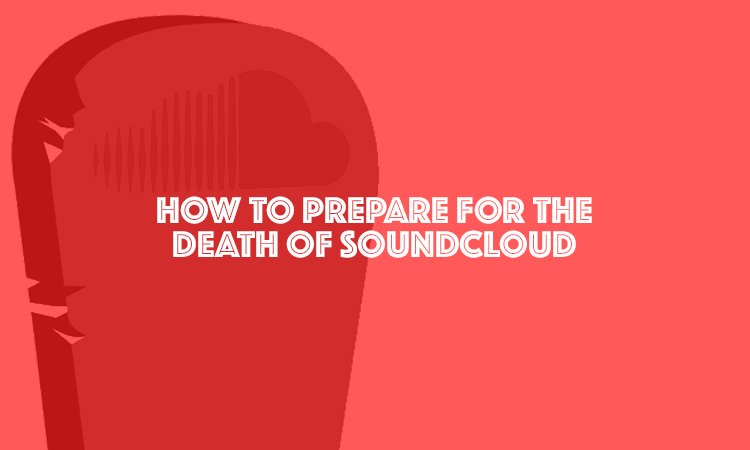 The death of Soundcloud would be a big blow to many music artists trying to promote new tracks, be prepared for the worst!